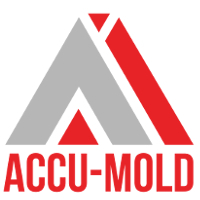 Accu-Mold is a plastic engineering and tooling company located in Portage Michigan. For nearly 40 years, Accu-Mold has been successfully serving our customer’s tooling and molded part needs. Their staff has decades of part design, mold design, mold building and mold processing experience. The Bent Tree Market, located south of the Four Winds Casino Dowagiac, opened for business in 2013. It was designed by Seven Generations Architecture and Engineering and provides gas, tobacco, and convenience store items to residents in the area. Seven Generations Architecture and Engineering, LLC located in Kalamazoo, MI and specializes in architecture, engineering, interior design and planning services to the federal, commercial and Tribal markets. WBK Engineering LLC - is a Professional Engineering and Scientific consulting firm focused on Civil Engineering including Water resources, Transportation, Structures and the full range of Municipal Engineering; Planning and entitlement services for new development and municipal clients; Natural resource sciences centered on wetlands, streams and sustainable development all supported by our Surveying practice. It is the newest addition to the Mno-Bmadsen Family and like all Mno-Bmadsen Companies it is customer centered, serving clients in both the public and private sectors throughout the Midwest.